I know I sound like a broken record every month ... but I have a lot of favorite colors! 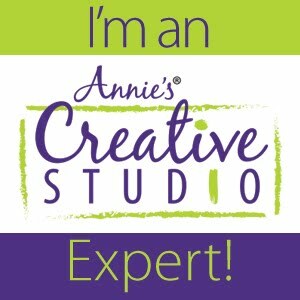 If you are finding this blog post for the first time and aren't sure what we are talking about .... To get all the scoop, be sure to check out Jen's post. I used three fabrics - a light, a medium and a dark - from the Garden Club Collection by Brenda Ratliff of JustaBitfrayed for RJR Fabrics to make this month's block. 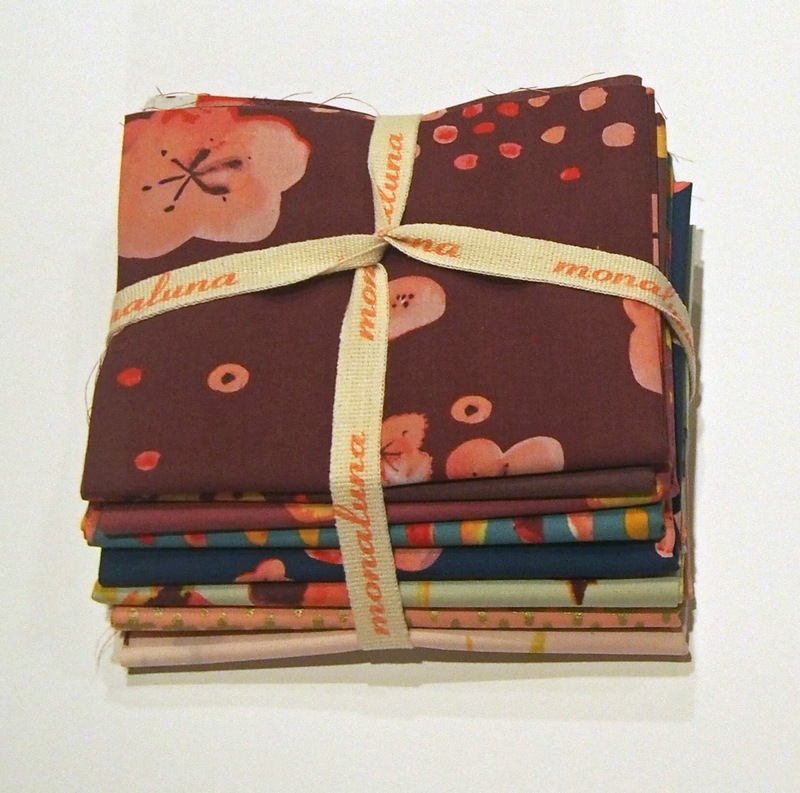 The colors are so perfect for this month and a huge thanks to RJR for donating the fabrics. 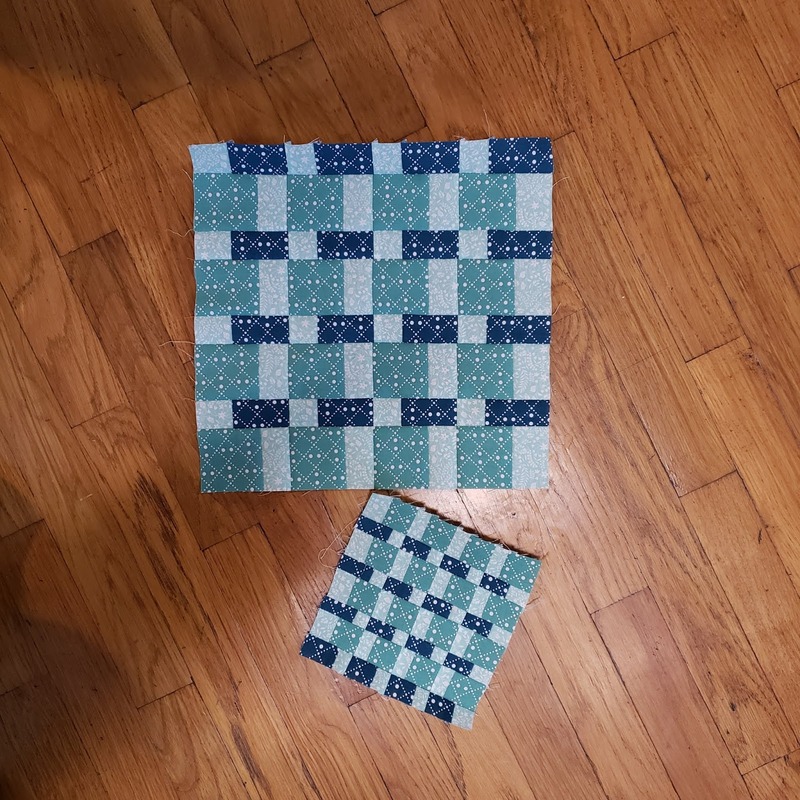 I'm using Jen's pattern (available on her blog - see link below) and made both the 12" and 6" block this month. With only 1 more block to make, I've already started on the final quilt and it's so hard to keep it a secret. Be sure to follow on social media for some sneak peaks starting mid-November. I can't wait to see what your block looks like. 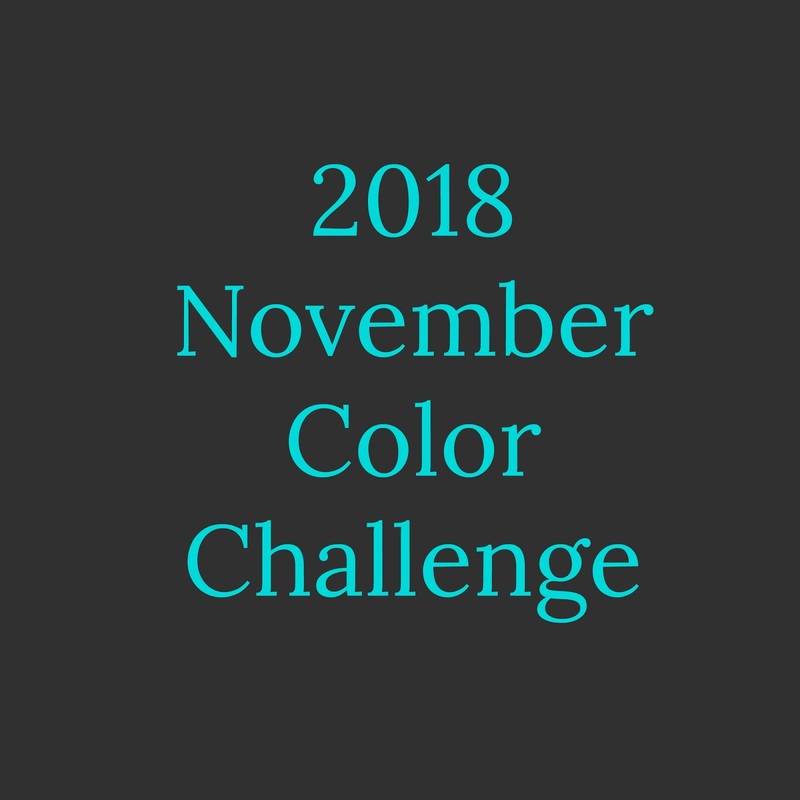 On Jen's blog you have an opportunity to share your red violet block or anything made with blue green from November 21 to 30 to be eligible for prizes. 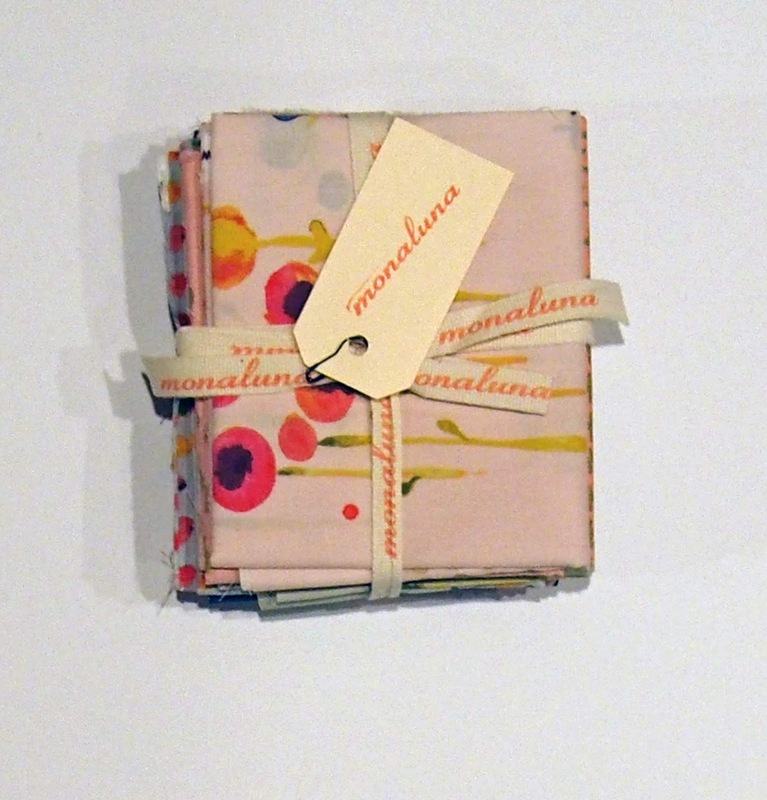 And speaking of prizes, the sponsor for this month is Monaluna who are giving away a bundle of fat quarters of organic fabrics from their Haiku 2 line. Also be sure to visit the other bloggers who are participating this month. 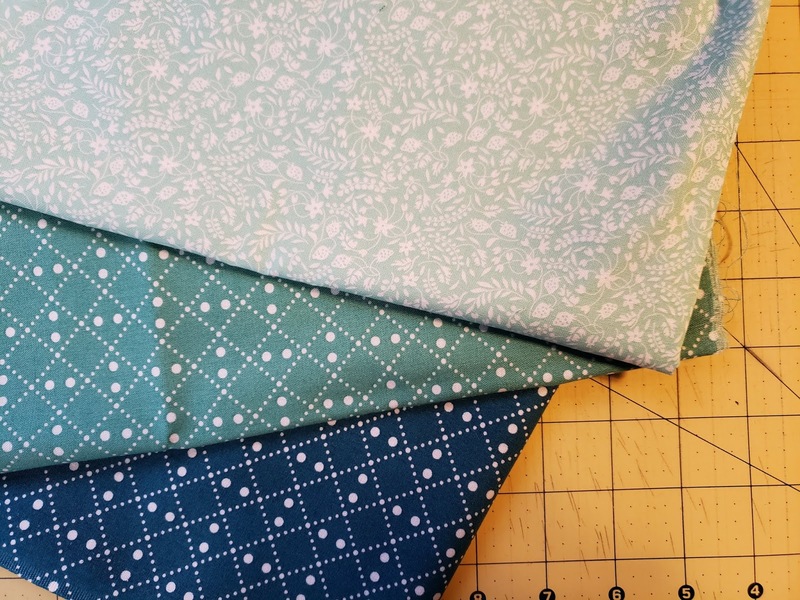 It's so much fun to see what fabrics everyone has selected and how different the same block looks with different fabric choices! 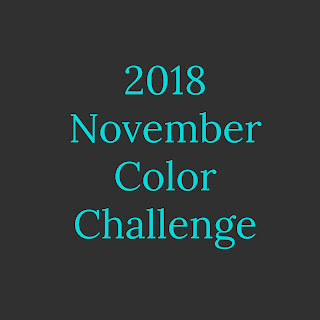 And if you are playing along with us, make sure to use #2018monthlycolorchallenge on social media! 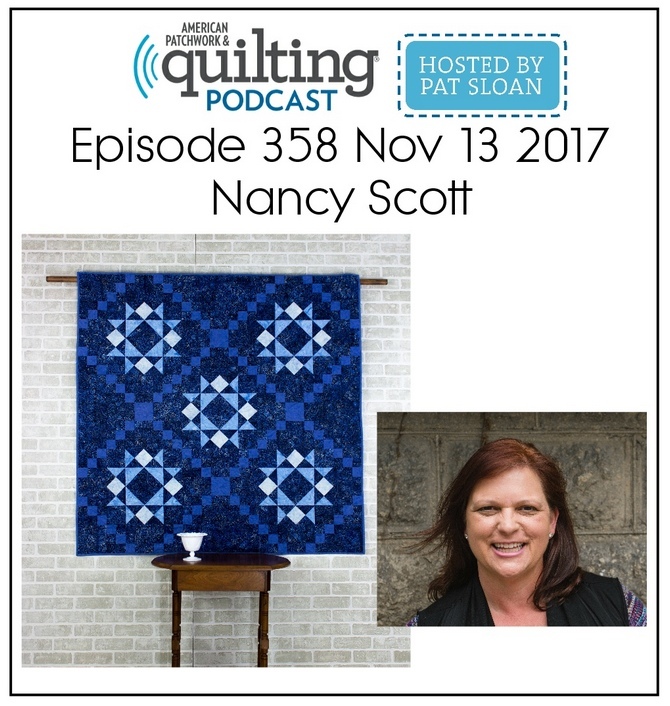 And speaking of social media, be sure to follow me on IG: @Masterpiecequilting and Masterpiece Quilting on FB for sneak peeks and updates!